My Family Fun - The Da Vinci Code eBook Most popular bestsellers you can download a book today! Thriller book. Most popular bestsellers you can download a book today! Thriller book. 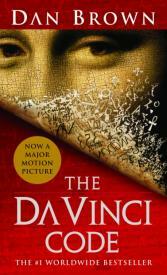 Number 1 and worldwide bestsellers, THE DA VINCI CODE is the best triller. While in Paris on business, Harvard symbologist Robert Langdon receives an urgent late-night phone call: the elderly curator of the Louvre has been murdered inside the museum. Near the body, police have found a baffling cipher. While working to solve the enigmatic riddle, Langdon is stunned to discover it leads to a trail of clues hidden in the works of Da Vinci -- clues visible for all to see. The Da Vinci Code: A Novel, By: Dan Brown, Published By: Doubleday Publishi. Available : Adobe Reader, Mobipocket Reader, Microsoft Reader.